Colorado DUI-D – Driving Under the Influence of Drugs cases will see a significant increase with the 2012 passage of laws regarding possession and use of small amounts of marijuana in Colorado. It is also anticipated there will be major changes to the investigation and prosecution of DUID – or Driving Under the Influence of Drugs cases and the Colorado laws governing these cases. 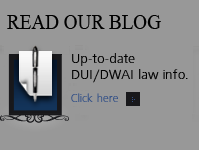 Proving a driving under the influence of drugs charge is significantly more difficult for the DA than it’s analogous DUI – DWAI charge. This page addresses the drug marijuana and the specific prosecution of DUID cases where marijuana is the suspected drug that has been consumed and is allegedly affecting the driver under investigation of drugged driving. Although defeated in the last several years – attempts at legislation governing “acceptable levels” of marijuana metabolite in a driver’s blood work.. is again before the Colorado legislature..
Colorado DUID – are prosecuted using the results of a blood test intended to screen traces of drug use in the driver’s blood work. The drug screen used in a Colorado suspected DUID tests for barbiturates, benzodiazepines, cannabinoids (THC), cocaine, ethanol, methadone, methamphetamine, opiates, phencyclidine (PCP), and propoxyphene (Darvon). â€¢ It classifies driving, including the period within 2 hours after driving, when the driver’s blood contains 5 nanograms or more of THC per milliliter of blood as a misdemeanor. In the suspected DUID Marijuana case – the DA tries to establish that the active ingredient in marijuana – THC impaired your ability to drive. Here’s the rub – marijuana (THC) produces metabolites that can be found in your blood long after the substance has lost it’s ability to impact on your driving ability. Simply put – the substance’s ability to impair your driving has worn off. If Colorado passes the new law in 2012 the bill will make Colorado the third state in the U.S to adopt a driver’s blood standard for Tetrahydrocannabinol (THC), – the psychoactive ingredient in Marijuana. Passage of the bill would mean that drivers would be limited to 5 nano-grams of THC per milliliter of blood in their system when operating a vehicle. Certain states – Nevada, Ohio and Pennsylvania have, which allows medical marijuana, and Ohio have a THC limit of 2 nanograms for driving. Pennsylvania has a limit of 5 nanograms, but that’s a state health-department guideline, which can be introduced in driving-violation cases. Some marijuana activists say pot-related crash data are incomplete and shouldn’t be used to impose a blood-level limit. They say officer observations, not blood levels, are better for showing a driver is impaired. Many worry that medical- marijuana or other regular users of marijuana will be wrongly convicted of driving under the influence of drugs. It is common knowledge that some medical-marijuana users can have a high THC blood level even when the driver is not impaired and that the amount stays in a patient’s system long after they’ve used the drug. Medical marijuana and other persistent users often have a high THC blood level even when not under the influence. This is because it is well documented that marijuana stays in the system for a very long time after using the drug. The opposition to the bill would decrease if the nanogram level were increased to 10, where “there’s more guarantee that the person is actually impaired. Marijuana and DUI Laws: How Can We Best Guard Against Impaired Driving? 3. Unlikely to significantly improve public safety. A 5 nanogram per se limit would convict the innocent and unimpaired. Research shows near consensus that a 5 nanogram per se limit would result in unimpaired and innocent people being wrongly convicted. It is undisputed that certain drugs can act on the brain to alter perception, cognition, attention, balance, coordination, reaction time, and other faculties required for safe driving. However – having said that – the effects of specific drugs of abuse on the individual – MAY DIFFER depending on their mechanisms of action, the amount consumed, the history of the user, and many many other factors. 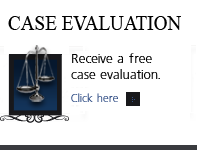 Your Colorado Criminal Defense Lawyer has to be well versed in the drugs involved in your Colorado DUID case. Because these effects are multifaceted and complex – MUCH more research is required to understand marijuana’s impact on the ability of drivers to react to complex and unpredictable situations. Until that research has been done – these cases should be carefully scrutinized by Colorado District Attorneys – and dismissed when possible. “Intoxication with cannabis leads to a slight impairment of psychomotor â€¦ function. â€¦ [However,] the impairment in driving skills does not appear to be severe, even immediately after taking cannabis, when subjects are tested in a driving simulator. REFERENCE: UK House of Lords Select Committee on Science and Technology. 1998. Ninth Report. London: United Kingdom. Chapter 4: Section 4.7. A recent study has shown that 19% of teenagers in the USA say they have driven a car while under the influence of marijuana, compared to 13% who say they have driven after consuming alcohol (by SADD (Students Against Destructive Decisions). Marijuana use among 12-graders is at its highest level in three decades. 36% of teenagers believe that consuming marijuana has no negative effects on driving skills and 19% of teenagers believe that consuming alcohol does not undermine driving safety. This is a major problem – as parents and friends we all have to address this issue fairly and comprehensively. Finally Some Practical Advice from www.flexyourrights.org – an ecellent website! What if police say they smell marijuana? “If police say they smell marijuana coming from your vehicle, you’re in a tough situation. Courts have ruled that the odor of contraband gives officers probable cause to perform a search. For this reason, police are quick to claim that they smell something and sometimes they might even lie about it. All you can really do is say, “Officer, I have nothing to hide, but I don’t consent to any searches.” If they search you anyway and something is found, you’ll need an attorney to help you fight the charges. Unfortunately, police sometimes use tricks like this to circumvent your constitutional rights and there’s no perfect way to handle the situation. Of course, they are most likely to do this if they are suspicious of you for some reason, so do your best to stay calm. In many cases, the officer will mention marijuana just to see how you react. If you appear nervous, the officer’s suspicions will escalate. Police often think they can tell by looking at you whether you’re a “pothead,” so be extra careful if there’s anything about your appearance that might draw their attention. How you dress and what kind of vehicle you drive is a personal choice, but police definitely look out for certain “stoner” stereotypes. If your look makes you stick out, you should think carefully about what items to keep in the car with you. If you have questions about Marijuana Drug Driving In Colorado in the Denver metropolitan area and throughout Colorado, attorney H. Michael Steinberg will be pleased to answer those questions and to provides quality legal representation to those charged in Colorado adult and juvenile criminal matters. 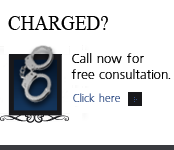 In the Denver metropolitan area and throughout Colorado, attorney H. Michael Steinberg provides quality legal representation to those charged in Colorado adult and juvenile criminal matters as regards Marijuana Drug Driving In Colorado.